Kids love animation and due to the advancements in technology, animation films per se have become extremely popular with people of all ages – take Wallace and Gromit and The Lion King as just two prime examples. Not only do kids love them but they are enjoyed by all members of the family. The thing about an animation film, however, is that it requires a lot of patience on behalf of the filmmaker who will end up spending far more time with the video camera preparing the shots than the accumulated length of time in terms of filled footage. Done well, however, you can create some magical memories for kids and they’re certain to want to get involved with the film making process. Any animated film in particular needs a strong storyboard to succeed so make sure you have a clear outline as to your plot and perhaps detailed rough sketches of how you want the film to end up scene by scene. 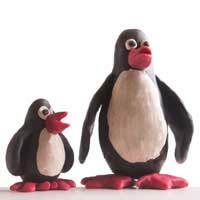 Just like in Wallace and Gromit, if you’re just starting out filming, using plasticine figures (or modelling clay) are two of the easiest ways to introduce yourself to animation film making as they are easy to manipulate from one position to the next. However, you’ll need to move the figures fractionally when filming for each shot to ensure continuity. Because you’ll be shooting digitally and can, therefore, view each frame as you shoot, you can always go back to a previous shot if you feel a transition is too jarring or looks unnatural. It’s also a good technique to get your children to incorporate pauses, blinks and coughs into your character’s movement as this will make them appear more natural and realistic. Kids will love experimenting with modelling clay or plasticine and therefore, you should have little problem getting them involved in the movie making process. If you’re just starting out, you should be looking to get to grips with the rudimentary elements of shooting an animated film. Things like making your plasticine models appear to speak is far more complex. At this stage, you should aim to shoot silent movies with perhaps a music track which you can add on later to enhance the mood. For children, creating an animated film couldn't be any easier. All you really need in the beginning is a table which acts as your set, a small table lamp, your video camera, plasticine figure(s) and a tripod. That said, if you feel more ambitious, you could try out other locations. Once you’ve mastered the basics, you’ll find that there is so much more you can accomplish in creating a professional animated film if you use a computer program to do it for you. Animator DV, Stop Motion Pro and Stop Motion Maker are three popular programs for PCs or, if you’re using a Mac, you could try using iStopMotion or Frame Thief. These types of programs will not only speed up the process of manipulating the movements of your characters but will also enable you to add things like props and textures to make your movie look even more professional. These programs will also automatically add lighting effects which you can adjust too and will work in conjunction with the footage you've shot on your camcorder. Finally, when you have got all of your raw footage together on your camcorder, you’ll need to transfer it onto a computer and edit it. Adobe Premiere isn’t cheap but is one of the best video editing programs you can buy and it is great for sequencing and synchronisation. The more you practice, the more adept you’ll become. As you gain more confidence, you’ll then begin to add music to add to the storytelling effect of your movie as well as learn how to make characters speak. You'll also learn how to make animated films with external locations as your backdrop. However, it’s all about using your imagination and being creative. And remember, because it’s animation, there are no limits on the types of stories you can create. Animation is a world of ‘make believe’ in which anything truly is possible. And we all know that when it comes to using their imagination, kids possess that in spades.